This trial, which has been supported by the RFU’s Laws Sub Committee and the TMO Steering Group, will take place in all matches shown live on either ESPN or Sky Sports, and allow the match referee to refer to the TMO incidents that have led to the scoring of a try at any point from the last stoppage in play. In addition, the TMO will be able to intervene in incidents of foul play. Infringements listed by the IRB include knock-ons, forward passes, player in touch, off-sides, obstructions, tackling a player without the ball, foul play and double movement in the act of scoring. 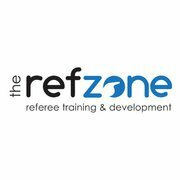 If foul play is referred, the TMO is to make recommendations as to the appropriate sanctions, as an assistant referee can currently do.